Gaura Purnima 2019 Deity Darshan ~ The Toronto Hare Krishna Temple! 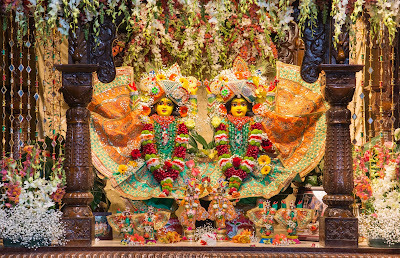 As always our beloved Deities are beautifully dressed each day, and festivals like our recent Gaura Purnima celebration are extra special. Pictures from our Pujari Department can be found HERE and from a Photo-shoot by Gaurav Agarwal can be found HERE. Enjoy the feast for the eyes!